The Ultimate Beatles have a lot in common with their idols. Four musical friends who love to make people happy with their music. This is how a Beatles tribute should be. Although perhaps not quite as successful as the originals, The Ultimate Beatles are probably one of the most celebrated and succesful Beatles tributes in the UK. The band, and the awesome music they're lucky enough to get to play, have entertained at hundreds of events since forming back in 2001. 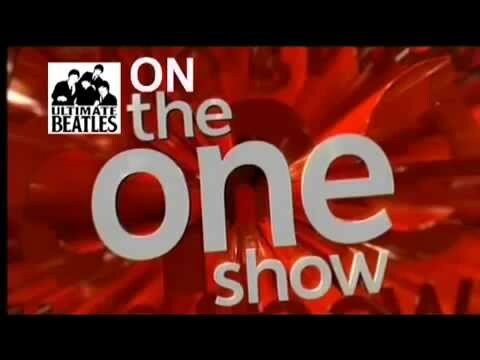 They've been on the telly too, check out their appearance on The One Show in the video clip. They've performed at festivals and corporate events accross the country and have been played for celebrities including, Ronnie Corbett, Mel C, John Bercow MP, Ann Friel, Tim Rice, Ian Botham, Denise Lewis, David Thewli and Phil Tuffnell to name but a few. Now you can recreate the sounds of the swinging sixties at your next event with this superb, experienced and friendly Beatles tribute. Enquire Now and experience the Ultimate Beatles for yourself. The Ultimate Beatles tribute band will perform all over London and the South East. Sorry, The Ultimate Beatles doesn't have any photos right now Send us an enquiry and we'll get back to you, or check out the rest of the act profile. Sorry, we don't have a setlist for The Ultimate Beatles yet Send us an enquiry and we'll get back to you, or check out the rest of the act profile. This page is currently being updated, check back soon.